There’s no point building something good unless you can keep it that way. 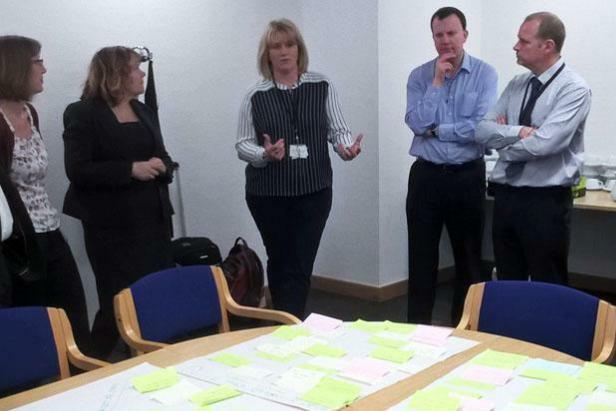 GDS has been training self-certification assessors to help us do that. Their job is to review government digital services in development, and ensure they meet the Digital Service Standard. The methods and benefits of self-certification are spreading throughout government with some departments taking proactive steps to enhance the skills of their assessors. People from departments and agencies such as the Department of Education in Sheffield, from the Environment Agency in both Bristol and Warrington, National Archives at Kew, Department of Health in London and the Office of National Statistics in Newport have gone through the training. While large services (with more that 100,000 transactions per year) are still assessed centrally, all the smaller ones are assessed in-house by each department. That’s what this training is all about: growing a community of assessors right across government. One place where that community is growing really well is at the Department for Business, Innovation and Skills (BIS). Sharon Hepworth works in the Digital Team in BIS and is responsible for managing digital and technology spend applications and services assessments for the core department and its 45 partner organisations. It works really well for BIS combining approvals and standards, ensuring that the service standard is embedded from the outset. In setting up the self-certification process in BIS, the intention was to develop a BIS family of assessors who could use their skills and experience to assess services and also give the assessors the opportunity to learn and gain knowledge themselves. Sharon shared how they found volunteers from across the BIS group, and have established a group of individuals committed and passionate about what they do, who readily take time out from their day jobs to come together for assessment panels, when needed. Being involved as an assessor gives a fantastic insight into the progress government is making in developing user-centric services, as well as helping to share best practice. Service assessments require a lot of organisation, not just identifying available assessors and sorting out rooms, but also in working with the service teams and the assessors to ensure everyone is ready for the assessment meeting. Sharon explained the role of the central team is to coordinate and support assessments, hopefully taking the pain out of the process. Pre-assessment meetings are held with the assessors and service team, as well as post-assessment meetings to discuss the outcome report. Sharon or someone else from the central team observes all assessments to ensure the quality and consistency of BIS assessments and if needed, answer any questions. This central oversight means BIS is well placed to learn from their experience of delivering assessments. A key lesson learned for alpha assessments is to ask the Service Manager when they feel they are ready to move to beta. This provides a useful challenge and avoids assessment meetings being held too early. BIS has a group of 16 service assessors, all trained by GDS, who between them have completed assessments on a range of smaller services from the core department, and partner organisations such as Intellectual Property Office, Insolvency Service, HEFCE and Innovate UK. ‘Upskilling the group is an important part of enriching the self certification process and keeping it relevant,’ says Sharon. As the demand for service assessments increases so will the number of assessors. For now, the focus is to build the experience of this core group, ensuring they have the opportunity to be involved in a range of assessments. As the group becomes more experienced in assessments, they can provide more meaningful feedback. ‘Anyone can use a prompt sheet. But the value comes from understanding and challenging responses,’ says Sharon. Sharon brought the BIS assessors together in the summer to reflect on their experiences, discuss changes and how to share best practice across BIS and partner organisations. It also provided the opportunity to hear the latest developments from a range of GDS speakers, covering case studies of assisted digital support, insights into integrating services into GOV.UK and the Performance Platform. Recently the BIS assessors had additional training on assisted digital and a further workshop is planned for later in the year. Workshops are a great way of enhancing core skills, building up assessor’s capability, spreading good practice and of ensuring that the assessors have the tools to self-certify. They also function as an important channel of communication to explain updates and changes and are a great way of bringing representatives from different departments together. It’s all part of a culture helping people learn across departments.